Let’s start with the chocolate lovers shall we? 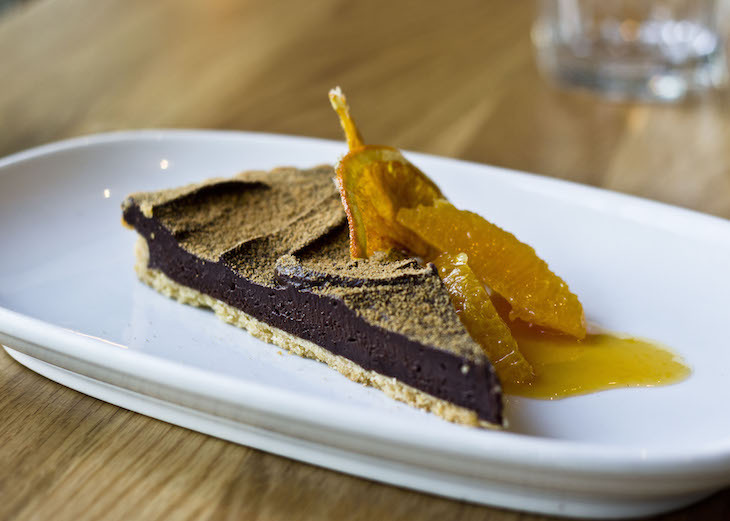 This Bittersweet dark chocolate & grand marnier tart w/ orange & praline powder will leave your tastebuds dancing. 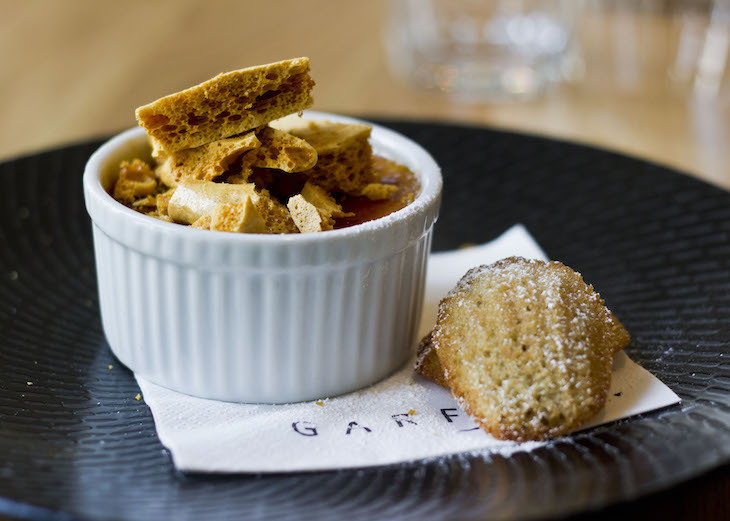 If vanilla is more your to your tastes, our Vanilla crème brulee w banana madelines & honey comb is on offer this Spring. 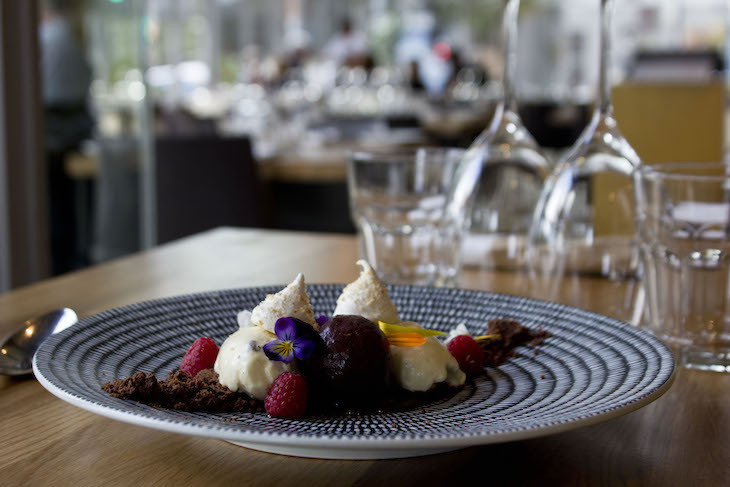 We think our chefs have created a work of art with this Deconstructed cheesecake w/ acai berry sorbet, chocolate soil & coconut meringue. And extensive taste testing ensures it tastes as good as it looks. 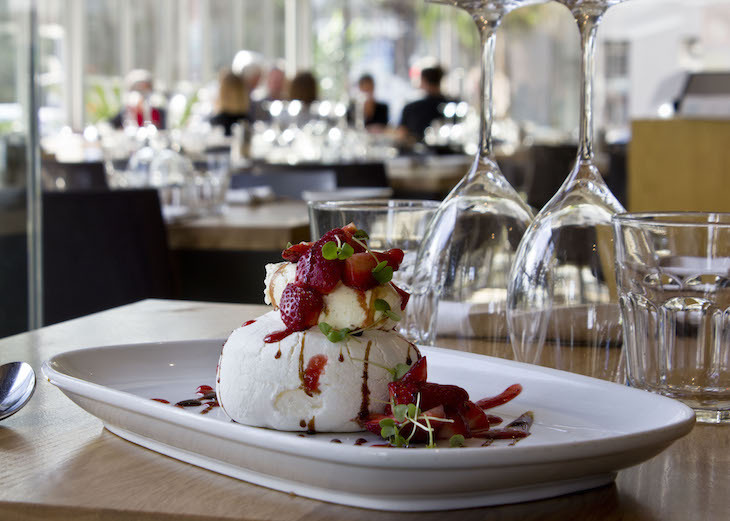 For a sweet finish to your meal that’s light and refreshing, there’s this Pavlova w/ mascarpone, strawberries, balsamic syrup & baby basil. 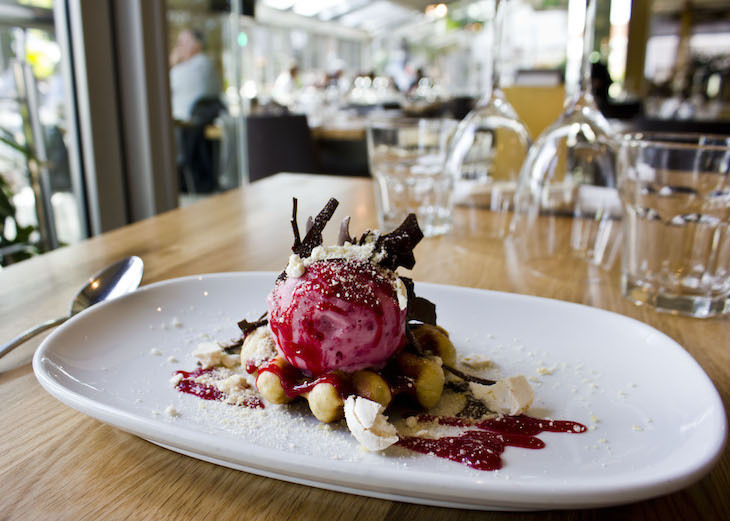 And we dare you to resist this Belgian waffle with Eton mess ice cream w/ raspberry sauce and chocolate shavings. It’s got everything! Why resist? For bookings and to view our Spring menu here, click here. If you’d like to view some of the entrees and mains from our new Spring menu view the blog post here.